The Pittsburgh Penguins won two crucial late games, pulling into a tie at the top of the eastern hockey traveling championship standings with the Tampa Bay Lightning. 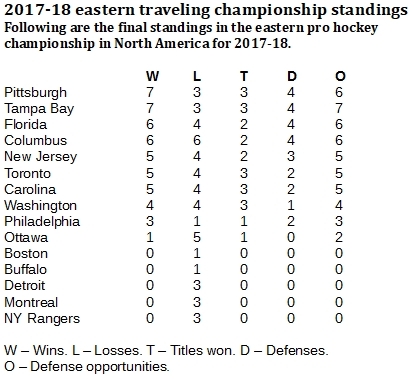 The race for the eastern traveling hockey championship for the 2017-18 season came down to the wire as the Pittsburgh Penguins won a late moment title, then added a defense on the last day of their season to pull even at the top of the standings with the Tampa Bay Lightning. Unlike the first two seasons of this championship, 2017-18 produced no clear-cut winner. The Penguins and Lightning finished on top with seven wins and three championships each. Pittsburgh would receive a slight nod as Team of the Year, simply for being the active champion with an evident flair for the dramatic. But two other teams finished with six wins and three others with five, so this was going down to the end. As April 5 dawned, Tampa Bay had its seven wins and the lead, followed by the Columbus Blue Jackets and Florida Panthers with six, then the Penguins, Carolina Hurricanes, New Jersey Devils and Toronto Maple Leafs all with five. It happened, though, that the Penguins were due in Columbus that evening, where the usual crowd in excess of 19,000 gathered for this huge game. 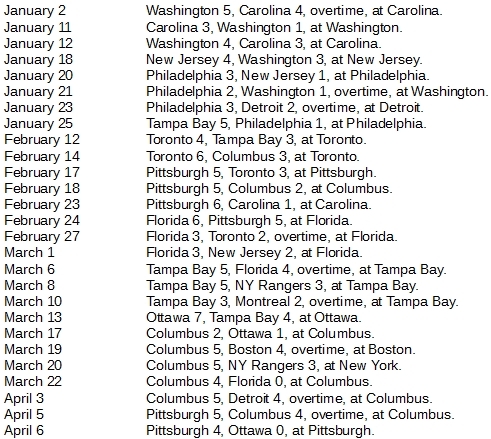 The Blue Jacket would win the eastern season championship outright by beating the Penguins and closing the season with a win at Nashville on April 7. 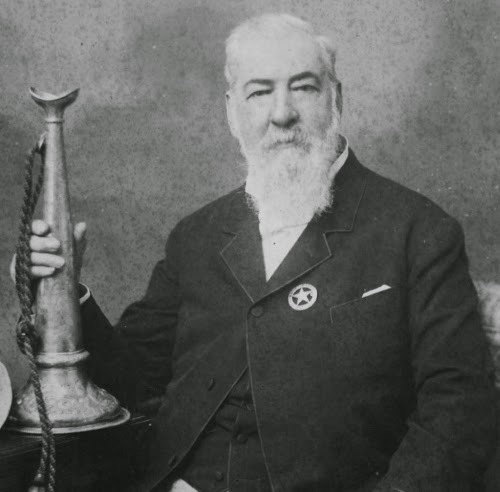 But Pittsburgh foiled the Columbus bid, then made its own. Conor Sheary found the net for the Penguins with 12 minutes into the third period to put the game into a 4-4 tie, then the two sides skated to an intense, scoreless standoff for the remainder of regulation time. Only 1:06 into overtime, Phil Kessel slapped in an unassisted goal, giving the Penguins a 5-4 win and the eastern traveling championship. The next night, the Penguins returned to their home arena and slammed the Ottawa Senators, 4-0, putting the title to bed for another spring. 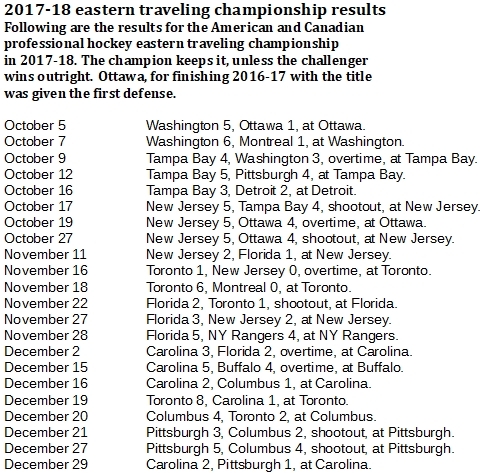 Florida, the runaway winner in 2015-16 with 17 championship, brought its all-time total up to 24 with a solid season, following the Panthers in the all-time standings after the 2017-18 season were the Washington Capitals (19), the Penguins (18) and the Blue Jackets (17).